Looking at the results below, we see a vastly-expanded list of configurations versus what we saw just a few days ago. As we fully expect this device to show up Tuesday at the event, this doesn’t come as much of a surprise. Spotted first by Kevin Tofel over at About Chromebooks, this new list is quite interesting, especially regarding the RAM situation. While we hoped we’d see some lower-spec processors on offer, I freely assumed they would also drop to the much-maligned 4GB setup along with the weaker silicon. That doesn’t seem to be the case, here. Sure, we have to take some of this with a grain of salt, but there’s really nothing that comes off as faked or fabricated, so I’m inclined to believe what we’re seeing. And what we are seeing is AT LEAST 8GB of RAM on all the units. 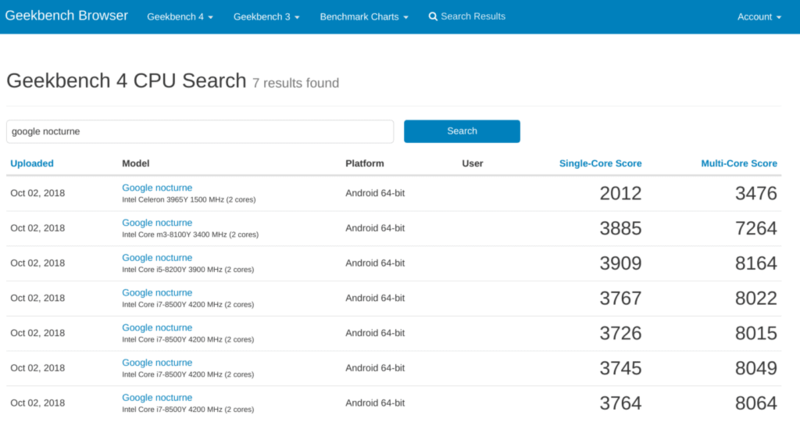 You can head over to the GeekBench site and click through each of the configurations on offer, but we’ve summarized what you’ll find there. That lineup could vary in price pretty vastly. Even if the top end i7/16GB version is in the $1400-1500 range, we could see the lower-end models get down to the $500 range if previous devices are anything to go by. After testing the latest-gen Core m3 in the HP x2, I think that would be the sweet spot paired with 8GB of RAM. We still don’t know what size the internal storage will be, but I’d expect Pixelbook-type storage options, here. Likely eMMC for the lower models and NVMe for the big guy (as we’ve seen that ‘Nocturne’ will get at least one model with the much faster storage option). 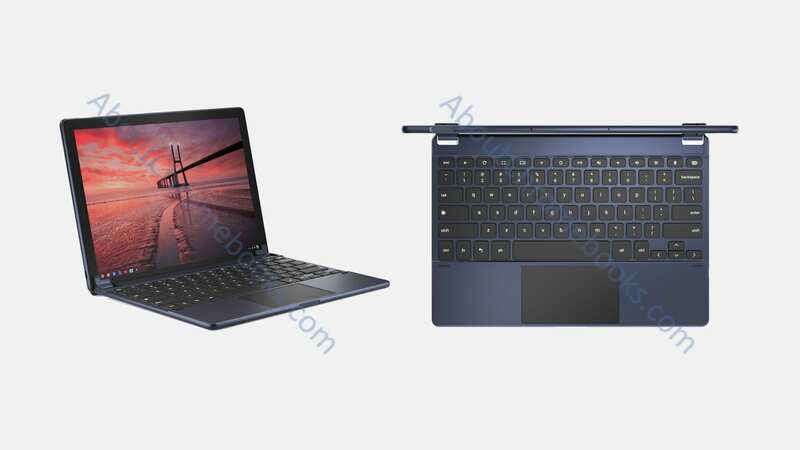 As I’ve stated prior, I beleive Google is going after the iPad Pro and Surface with this device, so a handful of configurations with a wide price range is almost a must. With Chrome OS, Android apps, PWAs, Linux apps and possible Windows Dual Booting coming, we’ve all been waiting on the ultimate hardware. The more we find out, the more I’m inclined to feel like The Google Pixel Slate will be that hardware. Of course, everything will be revealed in just 5 days!